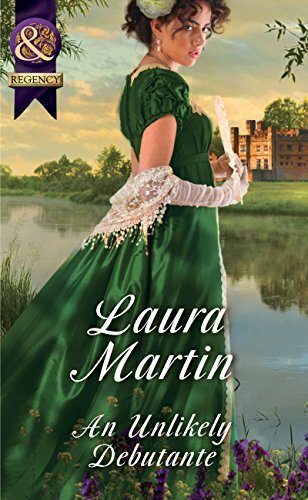 Lord Alexander Whitemore would rather train racehorses than take unconventional but beguiling Lina Lock from gypsy dancer to perfect debutante. However, to win a wager, he’s willing to try! I love new authors for me its the journey that they take you on, and in this case seeing how two totally different worlds can come together. For me this is what Laura has done and as you can gather she is a new author to me. So you are thinking which are the different worlds, well we have Lord Alexander Whitemore who is a Marquis, and Lina Lock who is a gypsy. The reason they come together is by a challenge set by Alexander's brother in law Richard Pentworthy, who sees that Alexander is bored and offers this challenge. I can't go into great detail, but lets just say Alex and Lina accept the challenge for very different reasons. I also loved Alex's sister Georgina and his Aunt Lucy. I can highly recommend this book and cannot wait to read more of Laura's books.